Reshaping Paradigms | Inspiring Optimism | Remaining Relevant The Fairly Group is a risk consulting firm advising clients throughout the United States and in over 100 countries in several business segments including corporate risk, human capital and benefits, and a broad array of risk consulting specialties. We are committed to finding ways to help our clients mitigate and manage risk while always challenging the paradigms that impede our mission. 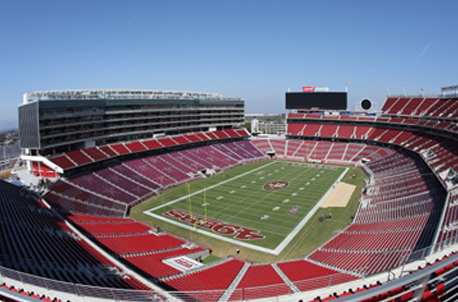 Step-by-step accurately describes how Fairly Group engages with project-owners who build stadiums, mixed-use developments, and more commonly today, complete entertainment and live/work complexes. 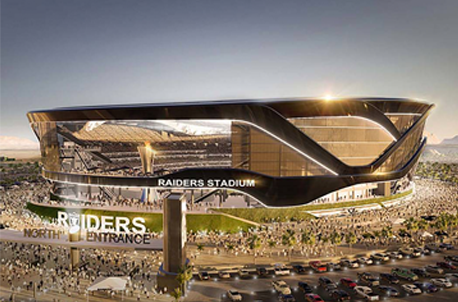 Our work on large construction projects includes seven of the last eight NFL/MLB stadiums and a multitude of large mixed-use venues across the country. Our firm provides a highly consultative planning and strategy-development process that results in the design and placement of an optimal construction-phase insurance program. – Daniel Romo, Senior Vice President, Risk Consulting. Risk is a reality for every organization. The Fairly Group difference is our approach to evaluating and managing it. Employee benefits has lacked any relevant innovation in decades, and insurance-related expenses have become increasingly frustrating to corporate executives. Maintaining trust serves as the very foundation to serving our clients and protecting their resources and assets. You'll never look at risk the same way. ADDING VALUE WITHOUT DIMINISHING QUALITY. It takes a winning attitude to meet the challenges of managing risk on a global scale. This approach – inherent to our culture – is based on our belief that in order to reduce the cost of risk, it must be managed. Buying insurance is largely an exercise in financing risk, not managing it. And to our way of thinking, the issue of managing risk – truly managing risk – should get a lot more attention. So, every day, our team is focused on finding creative and practical ways to drive down our client’s cost-of-risk. Central to this pursuit is a willingness to challenge archaic paradigms, and in doing so, we frequently discover fresh solutions that measurably move our client’s cost-of-risk needle. Innovation in employee benefits is alive and well at the Fairly Group. Employee Benefits has lacked any relevant innovation in decades, and employee benefits expenses have become increasingly frustrating to corporate executives. So far, no one (brokers, politicians, medical providers, or insurers) have been successful in their attempts to deliver solutions to corporate America’s dramatically rising healthcare costs…until now. Fairly Group has integrated our paradigm-changing ability to reduce medical costs into the Employee Benefits space. Developed over the last fifteen years, our proven expertise is truly addressing the core issue: substantially reducing our clients' medical costs. Our class-specific expertise and longstanding relationships in the commercial insurance marketplace propel our team’s ability to structure robust, competitive risk protection programs specific to each client. Our teams work across all business platforms, sharing their expertise and knowledge to ensure the solutions we present leave our clients ahead of market standards. In addition, global relationships with partners like Willis Towers Watson (WTW) offer critical value in the commercial insurance arena. Working in concert with WTW allows Fairly Group to provide clients a stunningly broad spectrum of resources. Fairly Group serves a wide range of industries and clients that impact global markets every day. We are a team and network of professionals focused on developing innovative and practical risk solutions which deliver measurable results for our clients. Feeding the world is one of America’s core contributions to the planet. For America’s Ag producers, it’s more than a business; it’s a way of life. Our agribusiness team’s depth of expertise – gained from decades of experience - helps our clients stay ahead of emerging risks, and protect their assets and way of life. From paper clips to pay loaders, manufacturing serves as the driving force behind economic growth. Fairly Group’s unique approach to reducing the cost of risk is geared to help our clients anticipate and meet the challenges of a rapidly evolving environment fueled by technology, economics and market trends. Simply put, oil and natural gas runs the world; without it industries, businesses and even countries would cease to operate. It is an industry that carries a unique and broad range of very specific risks that emanate from and impact operations from upstream, midstream and downstream. At Fairly Group, we deliver expertise to our clients through innovative solutions and approaches that lower their cost of risk, helping them stay on the leading edge of competitiveness. In an industry that operates on very tight margins coupled with significant risk, you need partners who are strategic and innovative. Fairly Group helps contractors focus on reducing their true cost of risk and driving greater competitiveness from bids, through project acceptance, and beyond. The transportation industry delivers around the clock. Our team understands the complex insurance issues for large fleets including: time-critical functions, card issuance, insurance certificates, and federal/state filing management. We excel in designing fleet risk management and insurance solutions to control and drive down our client’s costs. 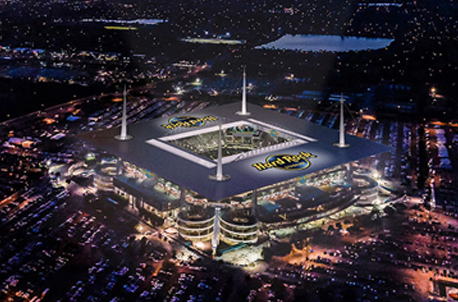 If Fairly Group is built around any of the industries we serve, the Sports and Entertainment sector is our foundation. We developed and executed our unique approaches to reducing the cost of risk with our core sports and entertainment clients and we continue to refine our model everyday, seeking even greater savings. Our proven results have allowed us to partner with some of the most iconic names in the sports and entertainment world. Fairly Group was featured nationally on Fox Business Network during a segment titled “EARTH: Industry leaders reshaping the way we do business on Earth.” John Holden, six-time Emmy award-winner, hosted the profile segment. 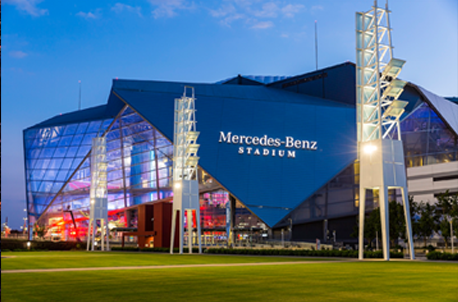 During the segment, President Alex Fairly, along with clients Rob Geoffroy, CFO of the Atlanta Falcons, and Dan Adams, CEO of Cal Farley’s Boys Ranch, elaborated on ways Fairly Group has helped their organizations navigate and manage today’s dysfunctional healthcare system by providing innovative, cost-saving solutions. Alex also discusses Fairly Group’s unique, proactive approach aimed to help clients manage the cost of healthcare across several business spectrums such as MLB, Viacom, and other local, regional, and national organizations. “The Fairly Group is not your typical insurance brokerage and consulting firm. Instead of pitching product, they are focused on solving problems and exceeding expectations, which leads to new business. Their team of professionals are consultative, inquisitive, thoughtful and knowledgeable. The Fairly Group has been an indispensable component of MLB’s risk management and insurance program for years and hopefully will be for years to come." Prospective clients often ask us about our foundation. Their inquiries usually come in the form of, “How big are you?”, or “Who are your clients?” and they are essentially asking about our strength…our foundation. Global companies with the highest standards have come to be confident in our foundation and strength and there are several aspects. History is part of our foundation, and our legacy began in 1916 in Amarillo, Texas. We grew up working with clients in the Oil & Gas, Agriculture, Public Entities, Manufacturing and Construction, among others. 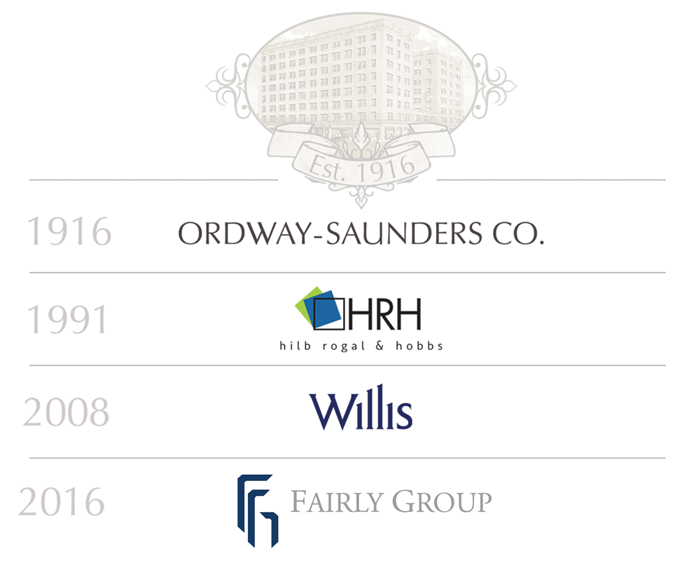 One hundred years later, we continue to work with clients in these fields, and many more. During our journey to becoming a nationally recognized risk consulting firm, we have also been part of some of the world’s largest insurance / risk management companies, occupying senior leadership roles and working alongside some of the best talent in the world. We continue to be partnered with one of those companies, Willis Towers Watson (WTW). The WTW partnership facilitates and supports our need to be independent and unencumbered, yet enables us to deliver the resources of a global, 45,000 employee-strong company to our clients. The result is something far too rare: An independent, flexible, uninhibitedly creative and nimble company with an unquestionably strong foundation. But the most important piece of our foundation – in fact, the bedrock - is our colleagues. They have been assembled over the last 20 years; hand-picked from every corner of the US. They are the professionals who serve our clients and deliver results by tirelessly looking for effective ways to manage our client’s cost-of-risk. Yet in spite of our successes, we have much more to accomplish. We wake up every day searching for new ways to be better; dissatisfied with the results that seemed amazing yesterday. And our foundation continues to grow with the experiences and discoveries that happen every day at Fairly Group. All of us here at Fairly Group look forward to opportunities to show how relevant and impactful our approach to managing risk can be, for both our current and future clients. One hundred years ago, the Ordway Saunders Agency was established in Amarillo, Texas and grew to be the largest insurance agency in the Texas Panhandle region. It went through several iterations of ownership, eventually becoming part of Willis Towers Watson, one of the world's largest publicly-traded insurance and risk management companies. Through the years, especially during the Willis Towers Watson era, this Amarillo Team evolved into a nationally-recognized risk consulting practice who, alongside our clients, developed and helped execute paradigm-changing risk management practices that substantially reduced our client's insurance and overall cost of risk. Today, the clients who entrust us with their risk-related challenges are not only the leading companies in our region, but also a veritable who's who of iconic American companies. And their engagement in, and willingness to embrace bold new ideas - which we've developed together - have paid rewarding dividends. On February 1, 2016 this Team - formerly the Amarillo office of Willis Towers Watson - acquired ourselves and became The Fairly Group. The transition allowed the operation to remain completely intact. It is the same team you've known and worked with over the years. Yet we are a new company – a new paradigm. A century after the founding of Ordway Saunders, we have become private again; as local as any, yet quintessentially global. And since Willis Towers Watson retains a substantial interest in The Fairly Group, we will continue to deliver the vast resources associated with one of the world’s largest risk management platforms. Additionally, the new structure has allowed us to make substantial and immediate investments in expertise (people) and resources (technology). The Fairly Group is again the largest insurance broker in the Texas Panhandle, advising clients in over 100 countries across the world in several business segments including Corporate Risk, Human Capital and Benefits, Insurance, and a broad array of Risk Consulting specialties. More importantly, now more than ever, we’re committed to finding ways to help our clients mitigate and manage risk – and willing to challenge the paradigms that impede our mission. More importantly, now more then ever, we’re committed to finding ways to help our clients mitigate and manage risk – and willing to challenge the paradigms that impede our mission. who are willing to challenge paradigms." and our clients see that."